I thought I'd just do things the way other around in this post. 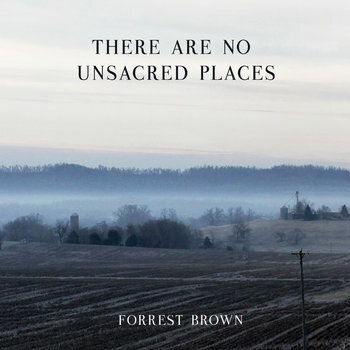 Forrest Brown's acoustic instrumentals need to speak for themselves. Elegant and understated, these compositions highlight the beauty in the mundane, as the album's title suggests. My only complaint about this EP is that it's way too short. I just want to float away on the landscapes Forrest paints. While I indulge in instrumental music occasionally, it's not every day that a piece arrests my attention like the EP's second track, "I'll See You Again." There Are No Unsacred Places is a true achievement.